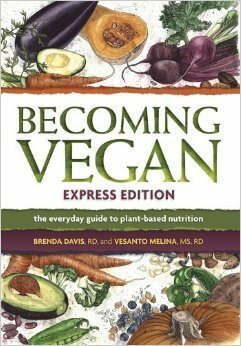 By Brenda Davis RD, co-author of the very new “Becoming Vegan: Comprehensive Edition, The Complete Reference to Plant Based Nutrition” (2014) and of the award winning “Becoming Vegan: Express Edition” (2013). At any one time, approximately 20-40% of the American population is actively attempting to lose weight. Weight loss diets are generally designed to produce a calorie deficit or to ensure that you take in fewer calories than you burn, so you will lose weight. Most succeed in this task. When it comes to weight loss, whether you eat grapefruits, cabbage soup, or bacon and eggs matters far less than the number of calories you consume. So, all sorts of food combinations can work, as long as they leave you with a calorie deficit. Even though most diets succeed in producing weight loss, the problem is, they end. When they do, the weight creeps back on. About 95% of all weight loss diets are utter failures the long term. In many cases, the deprivation causes your body to move into conservation mode, slowing your metabolism. You not only re-gain the lost weight, but you may end up gaining additional pounds, as well. In order to achieve lifelong healthful weights, you need lifelong healthful eating and exercise habits. There is no going back to your former diet and lifestyle. From the perspective of the consumer, the fatal flaw of the weight-loss industry is that their primary focus is earning a profit, NOT permanent weight loss. Return customers are part of the game plan. The weight loss industry has great expertise in telling their customers what they want to hear: “Lose all the weight you want for only $30”; “Melt fat while you sleep”; “Speed your metabolism, drop pounds without dieting”. So what’s the answer? Stop buying into hype and start buying into health. These three simple steps will put you on a path that moves your focus beyond thin. Step #1: Make great health, energy and vitality your goals. Dump the dieter’s mentality of thinness at all costs. It is not worth the risk. Remember, thinness can be the reward for healthful living or the curse of illness or substance abuse. It can be achieved by eating greens or undergoing chemotherapy. Without health, energy and vitality, a lean body loses its luster. The first and most critical step to permanently overcoming overweight and obesity is to redirect your focus from thinness to health. This is no small feat, particularly in Western culture. Begin by looking at food as the raw materials with which you will re-build your body. Resist the urge to select food on the basis of its consequences for your body weight. Instead, select food on the basis of its ability to nourish and protect your body. Before you bite into that sugar-free “diet cookie,” ask yourself if white flour, partially hydrogenated vegetable oils and artificial sweeteners are the materials with which you’d like to build your brain cells. Perhaps an apple would taste better. Resist the temptation to measure your success on the basis of the bathroom scales. While it’s OK to weigh yourself on occasion, daily weigh-ins are a lesson in frustration. Focus instead on how you feel. Know that as your health, energy, and vitality are restored, your weight will gradually adjust to a point that is ideal for your body. Remember, a healthy body weight is a natural consequence of a healthy lifestyle. What are your greatest dreams for body, mind, and spirit? How close could you be in a month, a year or five years? Hold on to those dreams. No matter how far you are away, know that every tiny step you take towards your ultimate goal is worth celebrating. Remember, life is not a competition, and it is not about being perfect. It is far more important that you have found a path that supports your physical, emotional and spiritual well being, than how far you have come along the path. Push out any negative thoughts with positive affirmations. Remind yourself that you will achieve what you have set your mind to achieve; that you will move forward towards your goals, and that there is nothing that anyone can do to extinguish your enthusiasm. As you work to develop positive habits, be prepared for stumbling blocks and resistance. Don’t beat yourself up when things don’t go according to plan. Instead, use each disappointment as a guide to making better choices next time. Step #3: Build healthful habits. Break old destructive diet and lifestyle patterns. Recall the story about a wise teacher who taught her students the power of bad habits with a spool of thread? She asked a student to hold his wrists together and she wound the thread around just once. Then she asked him if he could break the thread. He did so easily. She explained to her class that this illustrates the power of doing something once. Then she took the thread and wound it around the student’s wrists many times. Once again she asked him if he could break the thread. No matter how hard he tried, the thread was too strong to be broken. She explained to her class that this illustrates the power of doing something repeatedly. When we do something often enough it gets so integrated into our daily lives that it becomes automatic. We call these kinds of responses habits. When they have negative consequences for our health and general well being are called bad habits. Bad habits don’t tend to vanish spontaneously. Generally, breaking a bad habit takes determination and perseverance. The first critical step in breaking a bad habit is to get acquainted with the habit. Why it has been so successful in seducing you, and what makes it so difficult to let go? Become intimately aware of the reality of your behavior, and erase the fantasy that has served as its justification. See the habit for what it really is—a big road block to great health. Now, carefully construct a game plan. The plan must involve more than simply breaking the bad habit. It must replace the bad habit with something of value to your life and health—a good habit. To make your plan foolproof, be sure to set it up so you are surrounded by a strong support system. 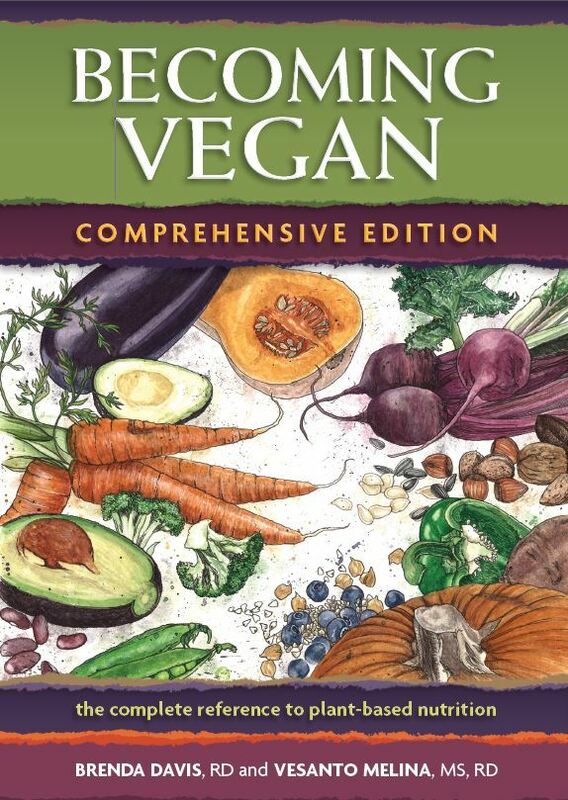 For more information on overweight and underweight, see “Becoming Vegan: Comprehensive Edition, The Complete Reference to Plant Based Nutrition” (2014) and the award winning “Becoming Vegan: Express Edition” (2013). 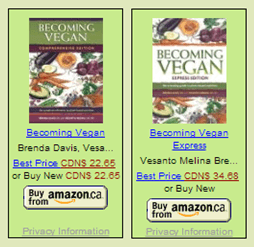 For information on eating disorders, see the “Becoming Vegan: Comprehensive Edition”.